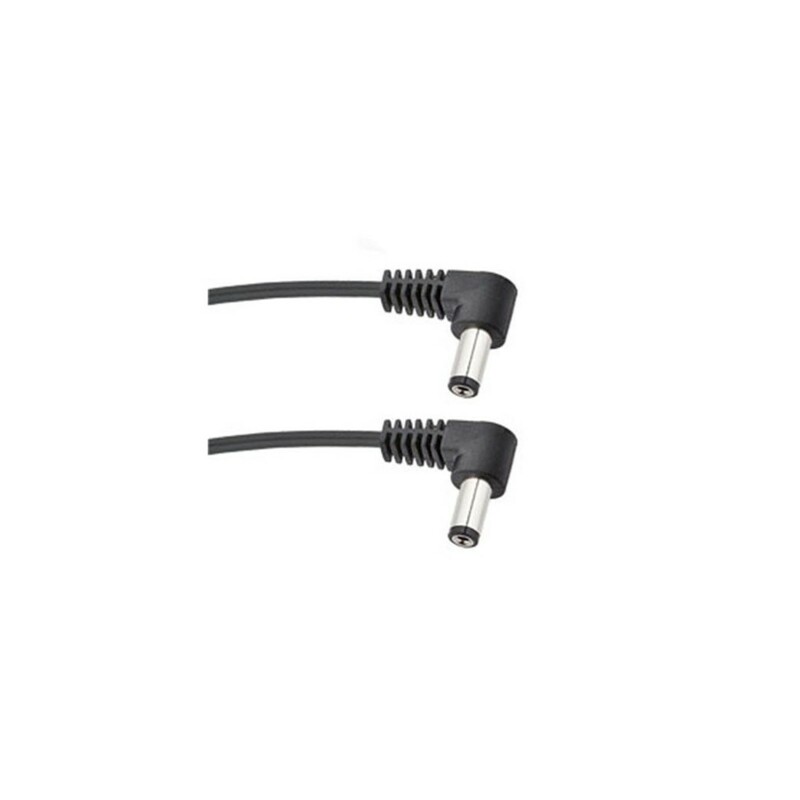 Voodoo Lab 2.1mm Right-Angle 24 Inch Cable. This is a very common and widely used cable with right angled barrel connectors on both sides and standard (center negative) cable polarity. It is designed for many types of pedals including Boss, MXR/Dunlop, TC Electronic Nova, Line 6, ToneCore,Ibanez and others. It has a length of 24 inches/60.9 cm and 2.1mm plugs. This cable type is essential to power your devices, for a very cheap price.